Local to Morgan Hill, California, Specialized Bikes have been at the fore front of bicycle innovation for over three decades. They are known to take a very holistic approach that focuses on the riding experience between both the bike and its rider. Specialized puts in countless hours of development and testing to optimize their bikes, components, accessories, and even their apparel to make your ride more enjoyable, faster, and the best it can be. We’ve been partnered with Specialized Bikes since the first day we opened Trail Head Cyclery in 1997, for more than 20 years we have been experts in all things Specialized. Trail Head Cyclery is one of the most prestigious Specialized dealers in northern California and our diverse knowledge and selection of their products is proof. Innovation inspired by the love for cycling. 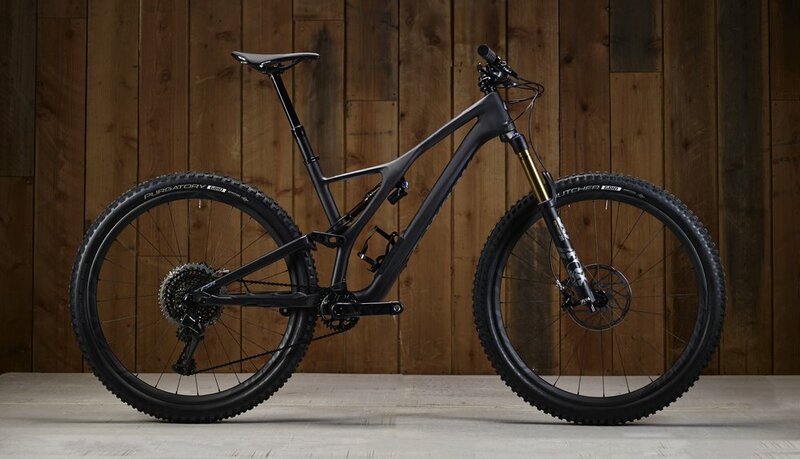 Specialized is one of the most innovative bike companies in the industry. They work diligently to think outside of the box and create products that go beyond just fixing a common problem. Instead, Specialized has become known for pioneering new technologies, ways of designing bikes, and improving the overall experience of the rider. The brand has an impressive devotion to putting in the necessary R&D to make their products as perfect as can be and is continuously looking to what’s next or how they can further improve how you ride a bike. The company meticulously combs over the fine details while still looking at the big picture, this inherently shines when you take a closer look at any one of their products. It is in their core identity to be at the forefront of cycling innovation. Why Do we Carry Specialized Bikes? When John and Lars Thomsen first founded Trail Head Cyclery, they knew they wanted to be a Specialized dealer from the start, it was an obvious choice. Specialized always has been at the forefront of cycling and a product of passion. This is something John and Lars resonated with. Specialized always has and continues to dedicate themselves to providing the best bikes and products so cyclists can get the absolute best experience out of riding their bike. This is a mission that both Specialized and Trail Head Cyclery have always shared. After more than 20 years of being a Specialized dealer, we have built an outstanding relationship with Specialized Bikes and we look forward to many more to come. There aren’t many other bike shops out there that have such a close partnership with a brand over such a long period of time, so we take pride in being one of the most well established Specialized retailers in northern California. Get to know Specialized Bikes a little better with these great videos. Have any questions? want to throw a leg over a Specialized bike ASAP? Feel free to contact us and speak to a Specialized Bikes expert.